Bride and groom and wedding party stand atop the Free Library of Philadelphia's Parkway Central Library building. 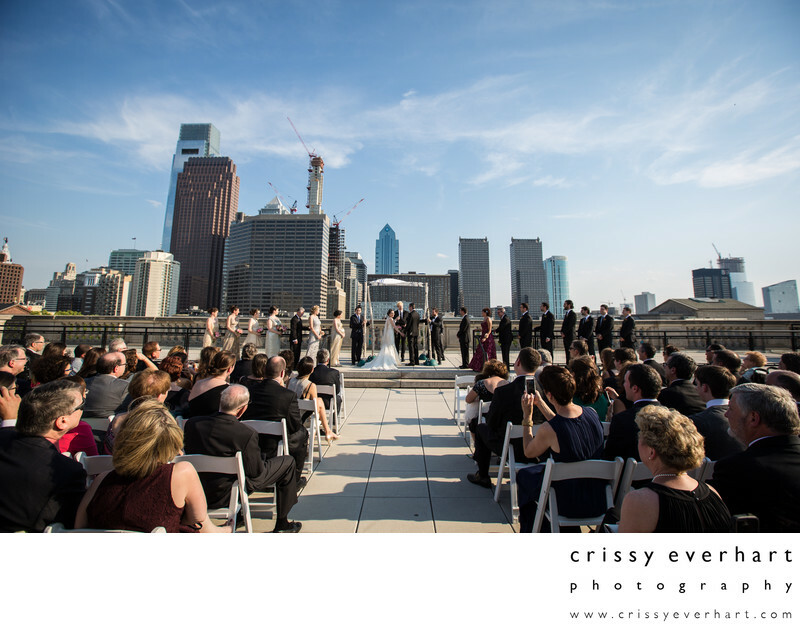 The skies are blue with wispy clouds and you see the Philly skyline behind the bridal party. This is a Jewish ceremony so the bride and groom stand under the chuppah accompanied by their parents and then bridal attendants.